In the marine world, it is difficult to tell if a seal is ill, but at zoos illness can easily be caught at a regular visit to the veterinarian. 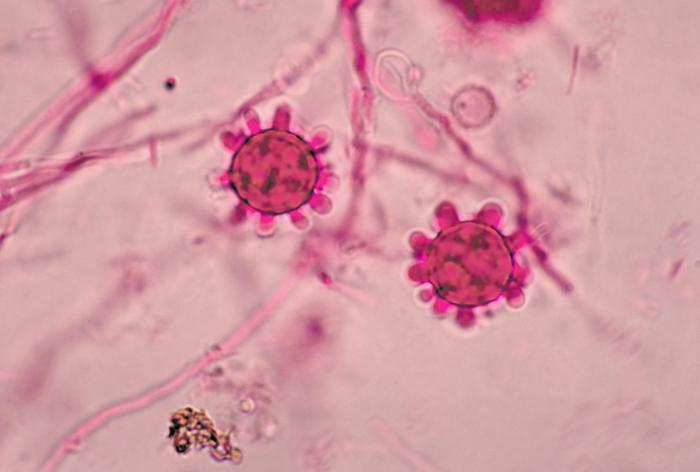 In one captive harp seal a fatal case of systemic mycoses, a systematic fungal infection that is zoonotic which means it is easily spread from one organism to the next. These seals were killed by histoplamosis caused by the fungus Histoplasma capsulatum was found. This disease usually affects organisms that are immune compromised. (That is why it is most common in people who have AIDS.) 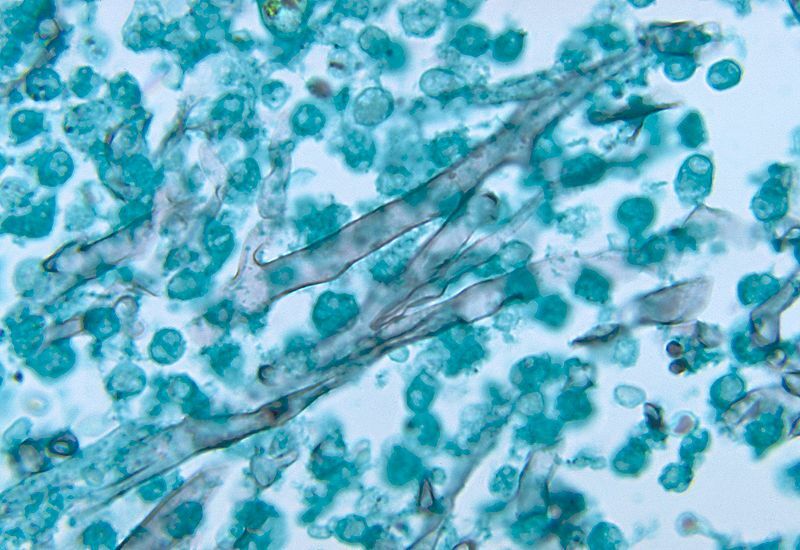 Histoplasmosis can affect all organs, but most commonly it affects the lungs of its host. Mucor spp. and Entomophthora spp. have caused fatal diseases in harp seals due to poor immune systems as well. Mucor spp. and Entomophthora are other fungi known for causing a group of infections most commonly known as zygomycosis. 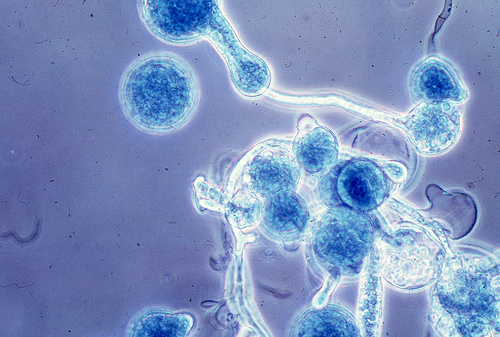 These are blood-vessel invading fungi that results in blood clotting. Those clots are not stationary, rather they move through the blood (embolization), and necrosis of surrounding tissue also results meaning the tissue in the area of the fungi dies. Harp seals are a very social group. It is common to find a grouping of seals in one location at a time. Seals migrate together and form their own little colonies. Seals of larger colonies often break off and form their own new grouping of seals. Harp seals have been hunted for their meat for a very long time by the Inuit people. For the Inuit people the hunting was done using spears, but now the average person would expect seal hunting to be done with guns. However, this sadly is not true. Seals are not shot; rather seals are clubbed on the head because it is too dangerous to shoot on ice. If a bullet were to hit the ice, it could bounce off and hurt someone on accident. Harp seals are now hunted using clubs that look like huge mallets or hammers to crush the skull. 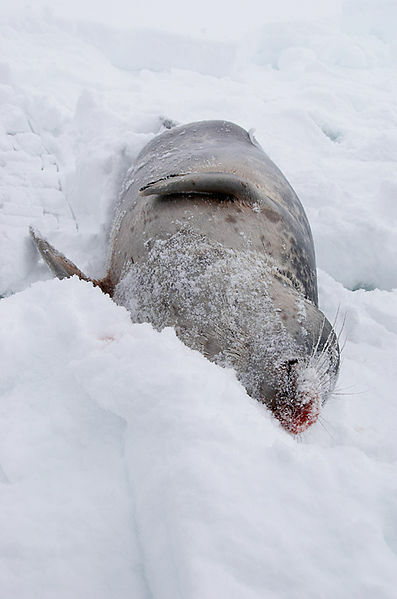 In Canada, there is an annual slaughter of the harp seal known as the “Canadian seal hunt”. Hunters go to the breeding grounds of the seals to kill them for their leathers. "White coat" killing has been illegal for many years. It is actually the 13-day-old "blue coats” that can legally be killed, but this is after their first molt. During this time the total allowance for seals killed in the hunt is 275,000 after regulations done in 1997. However in recent years there has been a severe decline in the Canadian hunt. 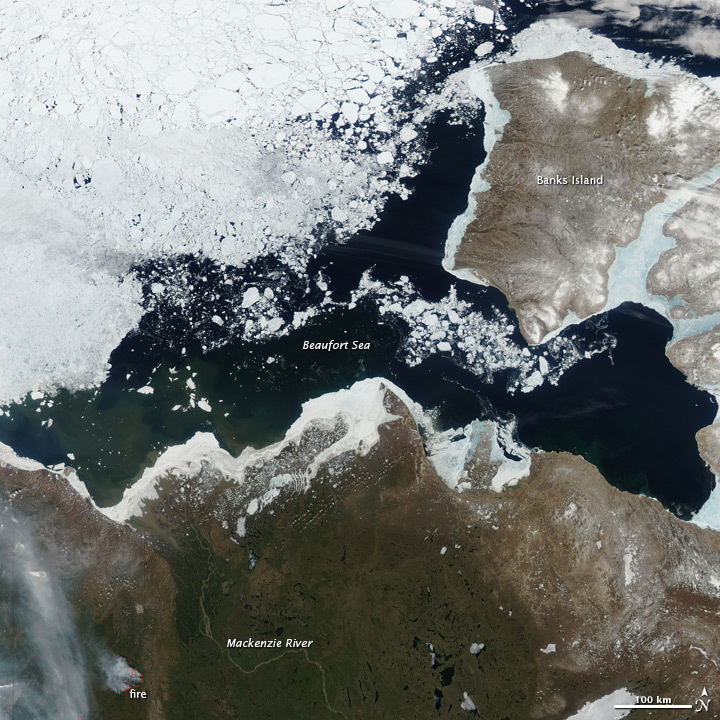 This is due to a number of factors, including the low demand for seal fur, insurance is more expensive, fuel costs have been on the rise, and the ice has been melting sooner than it used to making it a difficult task to reach the breeding grounds. However, Canada is not the only country where harp seals are hunted. In Greenland there are no regulations on their seal hunt. The estimated number of seals that died from 1997-1999 here (in combination with the deaths of seals who were accidentally caught by fisherman) was 465, 000. 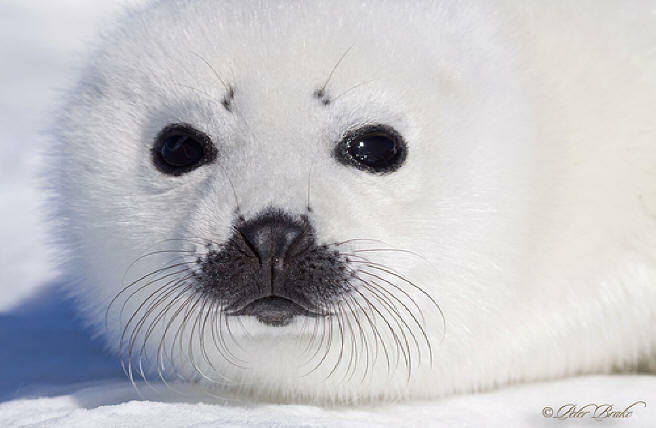 That alarming number is larger than the number of births that are occurring annually for the harp seal, and people are beginning to worry about population decline due to hunting. The seal populations, however, have remained stable at around 5 million (in the gulf and Newfoundland) thus meaning a 500,000 loss over 3 years is about a 3 p;ercent loss due to hunting. Just like Canada many other countries are facing the issues of seal hunting. Norway has also passed laws allowing only certain amounts to be killed, and none of them can be suckling. However, these regulations were not followed 100% by hunters. In Russia there was a bill to ban the slaughter of seals and received 273 votes to 1 object; unfortunately it never passed because President Vladimir Putin vetoed it. to be hunted up as well such as selling seal penises as aphrodisiacs in a Chinese market. This likely is not going to happen because of the inexistent market for other seal products leaving the rest of the body to rot, as well as the fact that this process is gruesome.